The need for temporary signage is situational, whether it be for seasonality, portability or functionality. Seasonality is a good indicator for when businesses may need temporary signage, especially throughout those winter months. Permanent signage is usually too costly to continuously update and is typically mounted or deep in the ground. 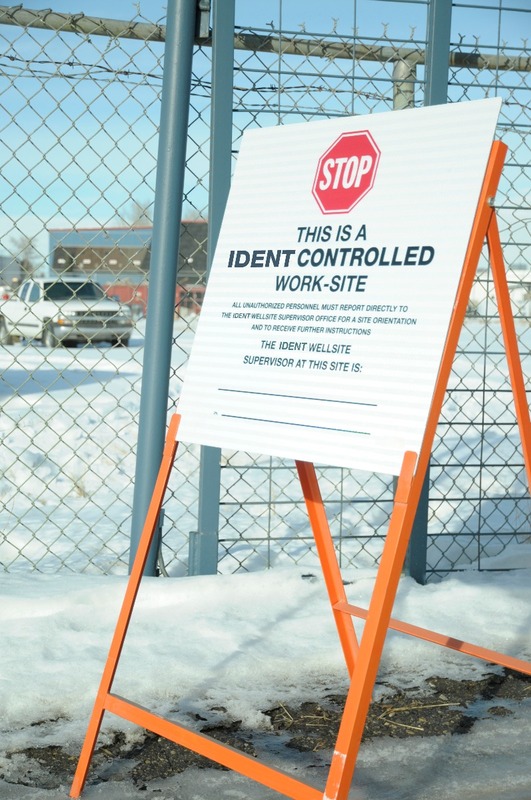 Temporary signage is generally lightweight, cost-effective and can withstand frequent handling and Canada’s chilly winter months. Before making your final choice, a few things to consider include: price point, the size of sign needed, how often it needs to be moved, the lifespan of the sign, as well as the base or frame you’re mounting to. Plastics are lightweight, recyclable, and inexpensive, making it an easy choice for temporary signage, billboards or golf tournaments. As a starting point, some well rounded versatile products include Coroplast, ABS, and Polystyrene. Aluminum Composite Material is a lightweight material that combines two aluminum layers with a solid plastic core and comes with a protective film on both sides. This material is best suited for indoor applications or outdoor when mounted flush against a solid surface. Aluminum is light and extremely durable metal, that doesn’t rust or decompose. This material can be used for any permanent signage applications. For more information on signage materials, click here to read our other blog post. A great option for temporary and portable roadside signage. Our Crezone boards are heavy enough that they won’t blow around in the wind, yet light enough for easy handling. The board is essentially a type of plywood, primed, coated and suitable for outdoor use (resilient in Canadian weather.) There are some additional options available such as sign inserts (or how we like to call them, JTRIM) for information changes, or lamination for abrasion resistance, for those days when you want to throw and go. Although sandwich boards come in a variety of sizes, it is generally best for walking traffic, or slower moving traffic, as they are typically lower to the ground. Advantages: easily transported, the only option with sign and base in one, available in multiple sizes, double-sided, sign inserts can be added to allow information changes. Popular Applications: Temporary sites, temporary reflective construction and traffic signage, site supervisor signage at work site entrances, temporary sign locations for mud rooms, temporary directional signage, etc. Also a popular choice for special events and tradeshows. A great solution for temporary and portable roadside signage. Our steel stands are durable and sure-footed with four points of ground contact, yet lightweight to make handling easy. Due to quad stands being in a higher line of sight than sandwich boards, they are good for both walking traffic and vehicle’s line of sight. Advantages: base can last long-term, lightweight base, can change the sign, higher and doesn’t sit on the elements, easily transported, coated in federal safety orange, double-sided, multiple sign orientation options, and can include pole pockets for flags. 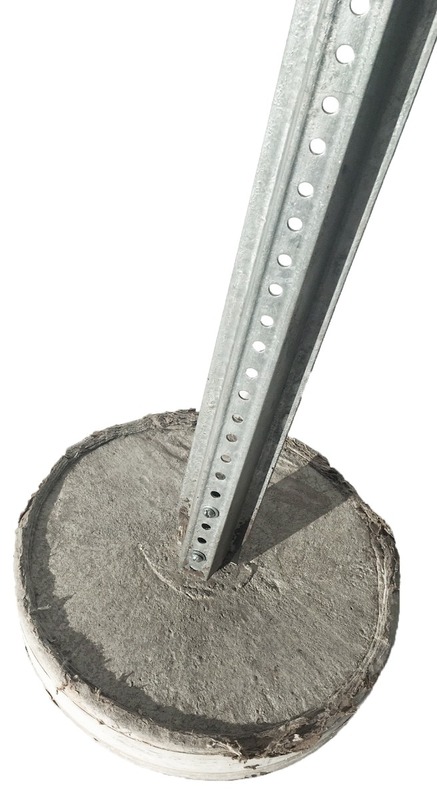 Used for sensitive zero ground disturbance conditions, these solid and stable bases provide perfect anchors for either a regular or heavy duty post without the need to penetrate the ground. Due to concrete bases usually having a 6ft or 8ft post attached, they are best for a vehicle line of sight. Popular Applications: Zero ground disturbance required areas, temporary applications where you don’t want to install a post, areas where the ground is too hard to penetrate, and temporary sites where the base doesn’t get moved. 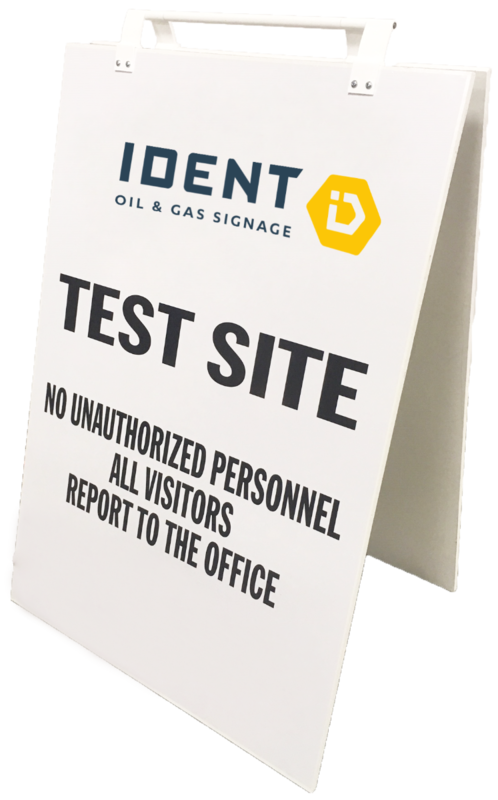 It is ideal to hold small signs like pipeline or warning signs. Finding the right base to hold your sign can be tricky, just like finding the right wine and cheese pairing, but don’t worry, we know a lot more about signs than we do about wine.